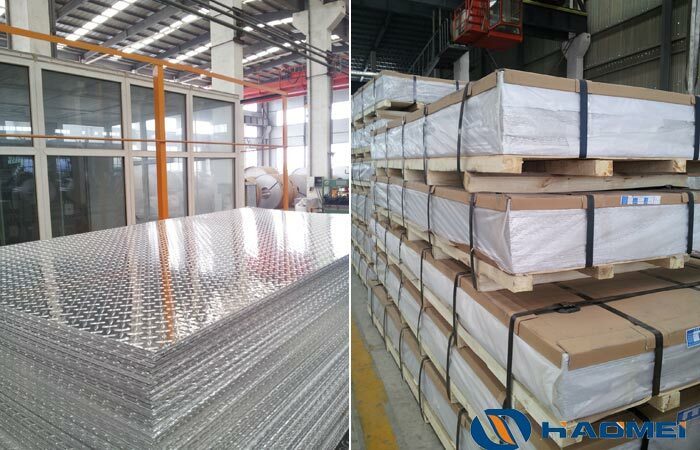 The aluminum tread plate is also known as pattern aluminum plate, aluminum checker plate, aluminum chequer plate, aluminum checkered plate or a non-slip aluminum plate, and is an aluminum plate product and formed into various patterns on the surface by rolling. According to the alloy, the same as ordinary aluminum sheet, aluminum tread plate can be divided into 1000 series, 3000 series, 5000 series, 6000 series. According to the pattern on the surface, aluminum checker plate can be divided into a one bar, two bars, three bars, five bars, diamond plate and so on. Alloy series and typical alloy: 1000 Series, 1060; 3000 Series, 3003; 5000 Series, 5052,5754,5083,5005; 6000 Series, 6061,6063,6082.